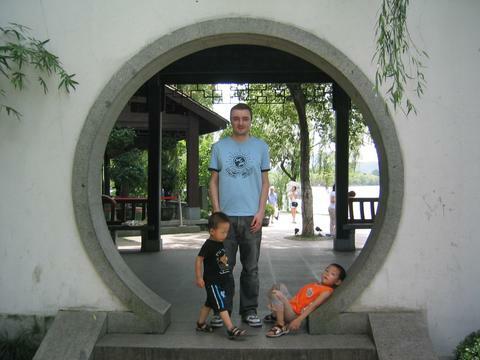 In the summer of 2006, I prepared myself for the next phase of my world travels... China. 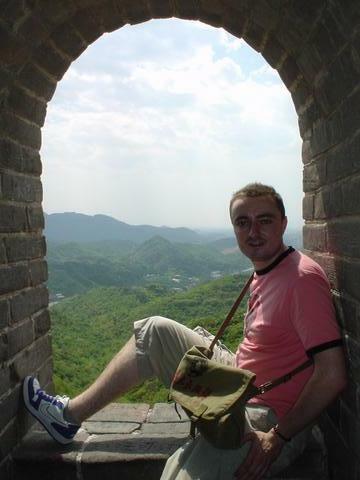 After my lengthy travels in 2004, I was ready to fly into one of the biggest countries in the world. No other country has had much impact over the last couple of years and I wanted to discover myself the changing faces of China. 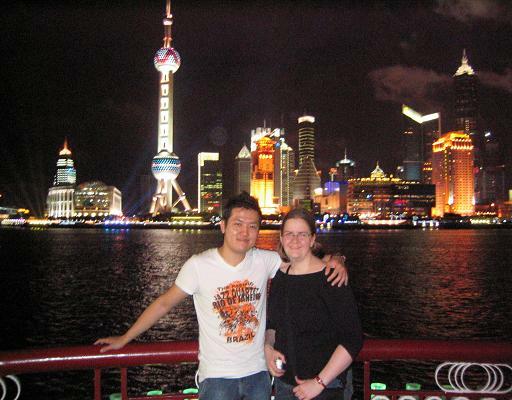 I landed in Shanghai, China on 6 June and was greeted by Alan whom been teaching in Shanghai for just under a year. Alan was part of the British Council where members teach English in Chinese schools over a year. 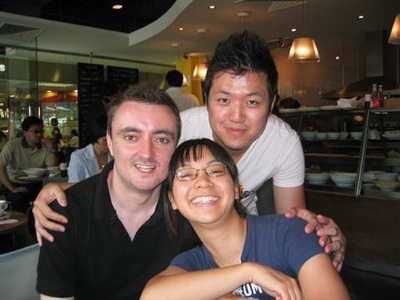 I met Alan in the summer of 2005 and have since been very good friends. 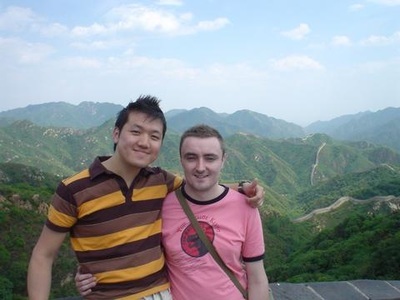 For the next month, I would live and travel with Alan whom had also learnt a little bit of Mandarin. Being ethnically Chinese, the public always spoke to me in Mandarin and were confused when I replied to them in English. I speak a little Cantonese and Hakka but the Mandarin language is somewhat very different most times. Shanghai was home for Alan in China. This booming city is very busy and I can't help thinking its over populated, just like in New Delhi, India. There are so many people and lots of traffic. The air quality is sadly very poor. We stayed in Cao Lang which was a couple of stations away from central. The area is very grey, buildings are in desperate need of repair though saying that, alot of these buildings are being demolished and replaced by scary multi-storey businesses or apartments. Instantly, you realise the stark contrast between the rich and poor. 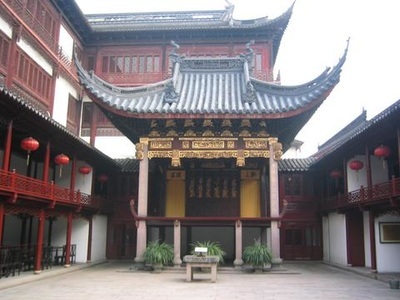 Although there is alot of old and eyesore buildings, homes dating all the way back to the dynasty era are also in threat of being demolished. The fast changing landscape of China is just an example of the rising power this country is fastly becoming. Before you know it, much of its gems will quickly fade away and replaced by money making corporate businesses. Capitalism is already here China. Markets are closing down, international stores such as Carrefour are quickly opening up. The traditional ways in which the people of China live are fastly changing and by no means improving. There are different sides of arguements and for this journey you have to be open-minded on everything. 22 June 2006, it's now sixteen days into my journey in China and both Alan and I have fallen ill. We both caught a flu! And so this gives me the opportunity to update you on everything that's happened so far. I arrived here in Shanghai on Tuesday 6th June at Pudong Airport. There I was greeted with a handsome all-in-black Alan. It felt weird as I hadn't seen him for almost ten months. Later that evening we met up with Alan's friends including Kirsty who arrived a week earlier. It was'nt until the next day that we made our journey into Beijing, the capital and Olympic 2008 city. We arrived late in the evening after a very delayed and turbulent flight, we stayed at the Youth Hostelling International overlooking Beijing's Railway Station. Beijing was amazing, it really grew on me the moment we landed. 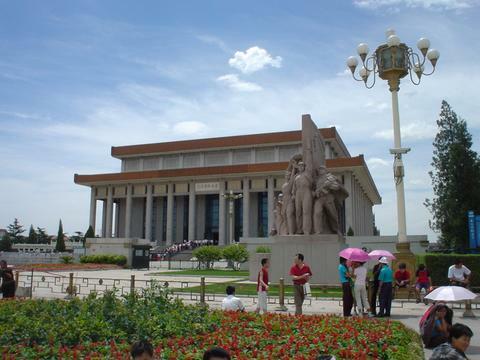 It is less congested from the first impressions I got from Shanghai and the city had more greenery. 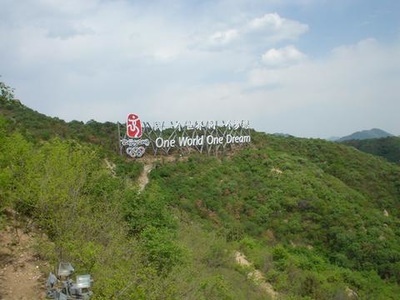 We took the one hour bus out to Badaling where we started our trek along the mighty Great Wall (the horrific journey back took over two hours). 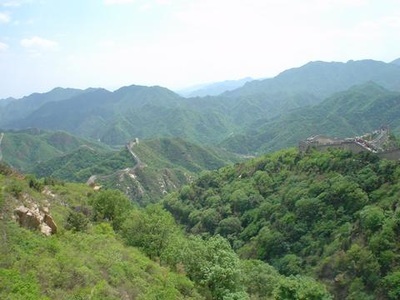 The views and surrounding scenery was impressive with some areas of the wall proving very steep, I managed to trip and fall a few steps, leaving me slightly crippled that day. 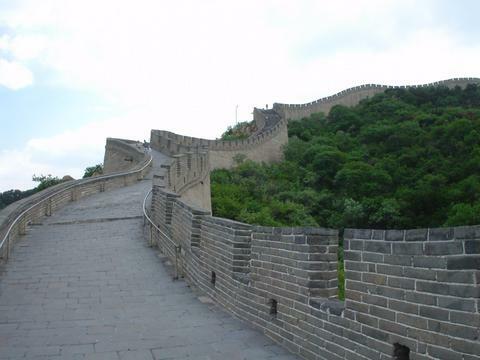 The Great Wall stretches from its scattered ruins Liaoning province to Jiayuguan in the Gobi Desert. Legend has it that one of the building materials used were bones of deceased workers. 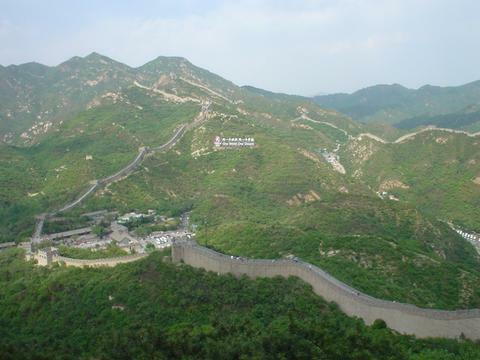 Much of the wall particularly in Badaling was first built between 1364-1644 and was heavily restored in the 1950's and 80's. Further walk and you can see the old ruins of the wall. 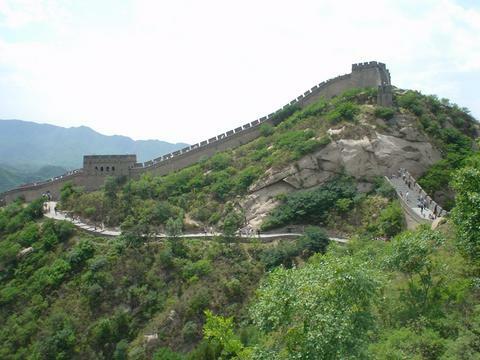 The original wall began 2000 years ago during the Qin Dinasty. In the hostel, we met Jo, a room mate of Kirsty in her dorm. 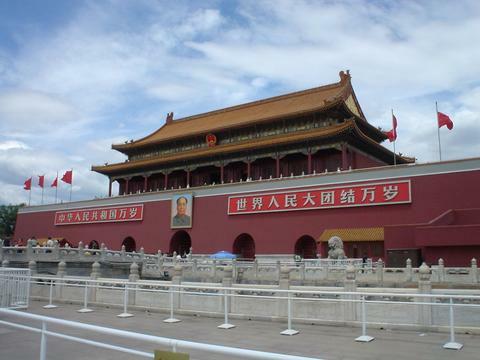 Together we walked around Tiananmen Square through the Gate of Heavenly Peace (where the large painting of Chairman Mao hangs) into the ancient Forbidden City, home to two dynasties of emperors, the Ming and the Qing. 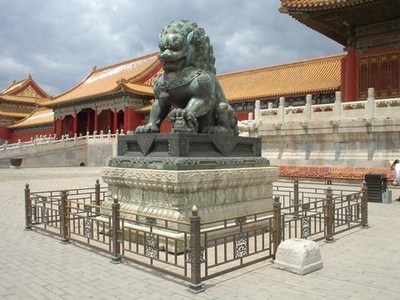 Ironically, we ended up searching for Starbucks which has opened a branch inside the Forbidden City. 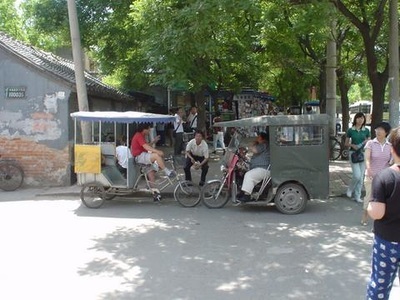 We went to the Summer Palace, an oasis of trees and lakes built for the emperors and on the last night, we tried Beijing Duck (a healthier version than those back home) and took the cycle rickshaws around the Hutong (Old Beijing), now a hidden secret vastly disappearing. 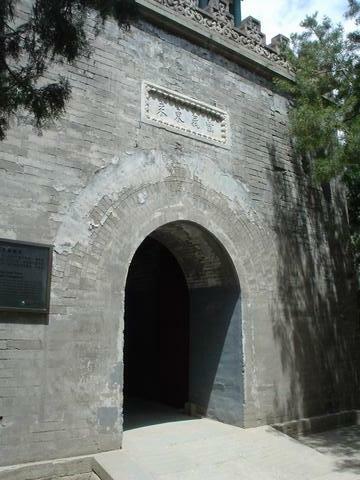 Many old houses are being knocked down to be replaced by new large buildings, a fimiliar scene throughout Beijing and Shanghai. 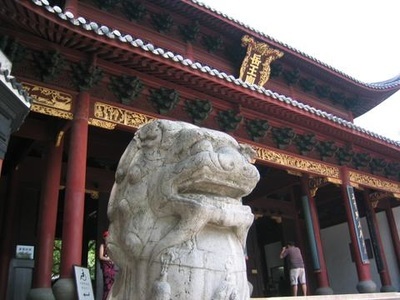 It was interesting and an eye-opener to see the traditional lifestyle of Old Beijing. The cycle rickshaw gave an indepth view of the community during sunset in which otherwise we would have not done so. 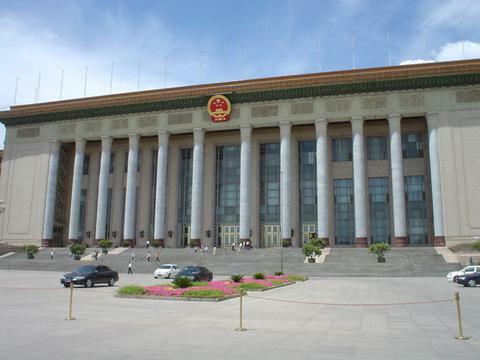 It is rumoured that this area of Beijing will have dissapeared by next year. 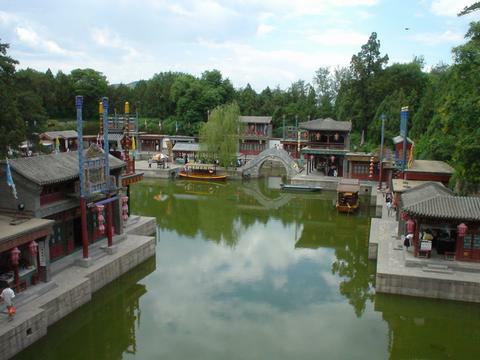 Alan and I travelled to Hangzhou by train, this is where alot of Chinese people go on holiday. 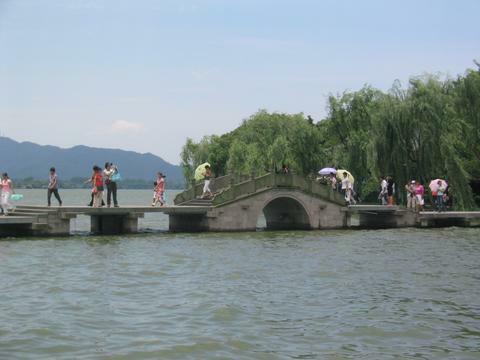 The city is most famous for it's magnificent West Lake which was artificially built in 1089. We took a little mini-truck ride around the lake and we could see alot of people running, jogging and walking here. There is a strong sense of community where people would tend to gather in groups. 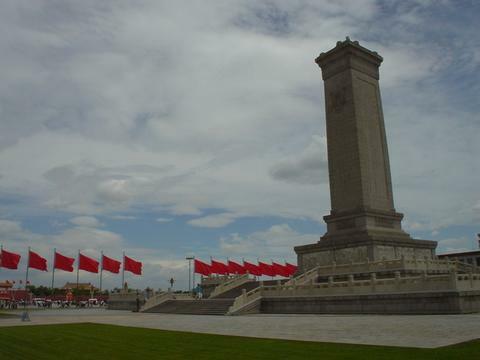 This is a nice little (in comparison) city and an eye-opener to the different sides of China. There was less traffic here and the lake gave it a seaside feel to this place. It is very romantic which suggests the many couples who come here. Thanks to Alan, Kirsty and his friends at the British Council for all the great times.